Architectural Record, a magazine committed to providing news and information about architecture and design, has ranked the top 300 architecture firms of 2018. Steelman Partners was ranked number 135! 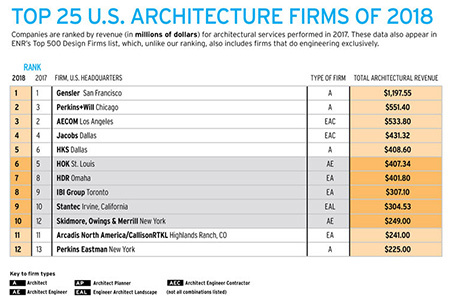 The Top 300 Architecture Firms are ranked by revenue for architectural services performed in 2017.